Following the completion of the Women’s EHF Cup Group Phase and the Women’s Challenge Cup Last 16 the remaining eight teams in each competition will learn their fate in the next two rounds already on Tuesday 13 February. 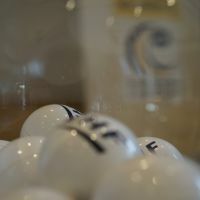 The draw at the EHF Office in Vienna at 11:00 hrs will determine not only the quarter-final, but also the semi-final pairings in both tournaments. The first quarter-final leg in both Women's EHF Cup and Women's Challenge Cup is scheduled for 3/4 March, while the second leg will follow one week later. The semi-finals will be played in the first half of April. The draw event will be streamed live on ehfTV.com youtube and EHF Facebook page. For the quarter-finals, there will be no seeding as all eight teams will be drawn from the same pot one after another. There will also be no country protection applied in the draw. The semi-final draw will follow using the quarter-final pairings. There will be two pots in this quarter-final draw as the four group winners from the group phase are lined up in Pot 1, while the second ranked teams occupy the four positions in Pot 2. The Pot 1 teams will be drawn first and will have the home court advantage in the second leg. The country protection rule will not be applied in the draw, which means Larvik and Kristiansand can face each other in the quarter-finals. However, teams from the same group cannot meet in the next stage.